Every so often I find a web tool that is worth sharing a little more than just information. 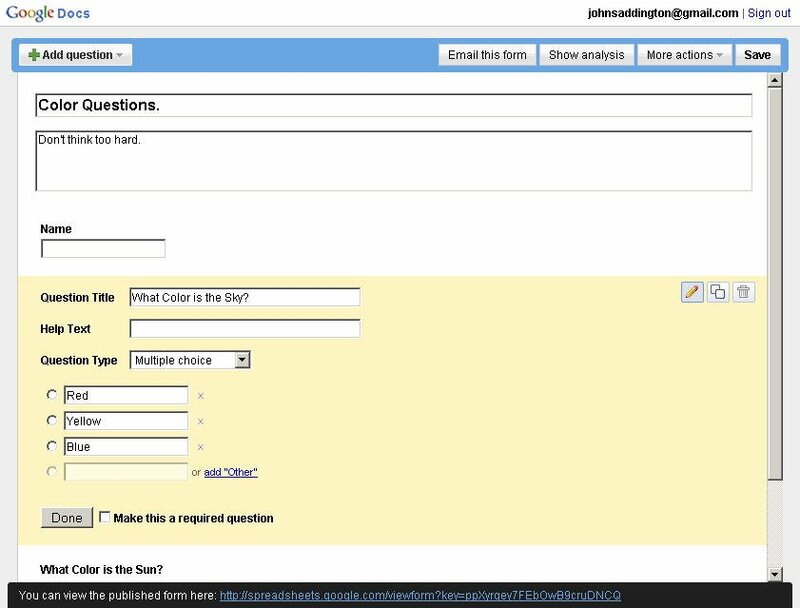 The revamped Google Docs toolset, especially the Google Forms, is one of those. It essentially puts Survey Monkey out of a job in my opinion because it’s simply integrated with the other google products, but I do have to put my caveat in here… it’s still in BETA (and it really is, reports of “bugginess” have been found). In any case, I like one-stop-shop apps because I’m lazy to go anywhere else. 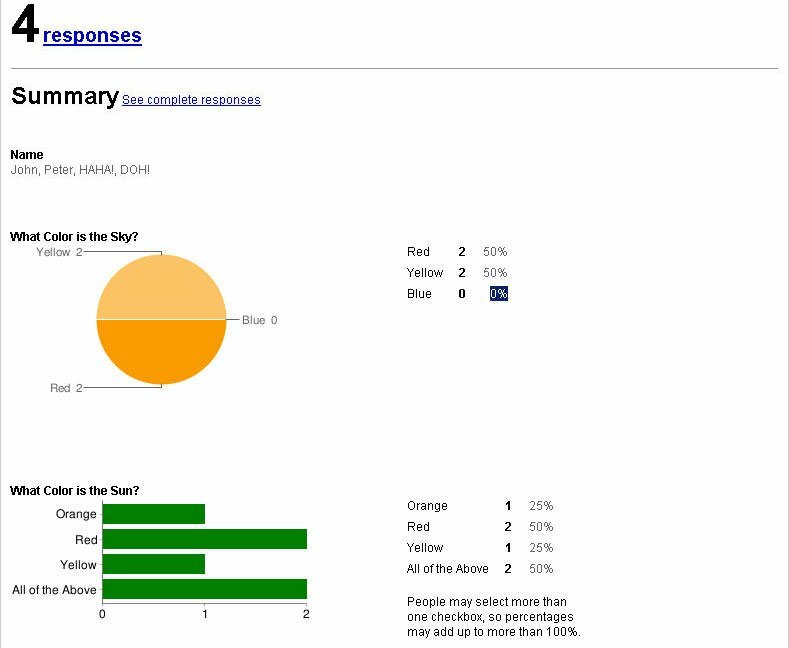 Google Forms can easily create forms, surveys, and the like, and has built-in reporting as well. So here’s the quick and dirty on how to create your first form, and then just imagine the possibilities. Hook one up for your next ministry gig, activity, survey, etc! 1. Get to your Google and Sign in! 3. Hit “Save” and then check it out! 5. Try it out and hit “Submit”. 6. Then go see the “analysis”. 8. 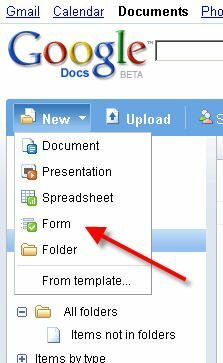 Check it out as it exports to Google Spreadsheets… and then Excel! 9. Voila. You’re a pro. Now go make another one. John, thanks for putting this little tutorial together. 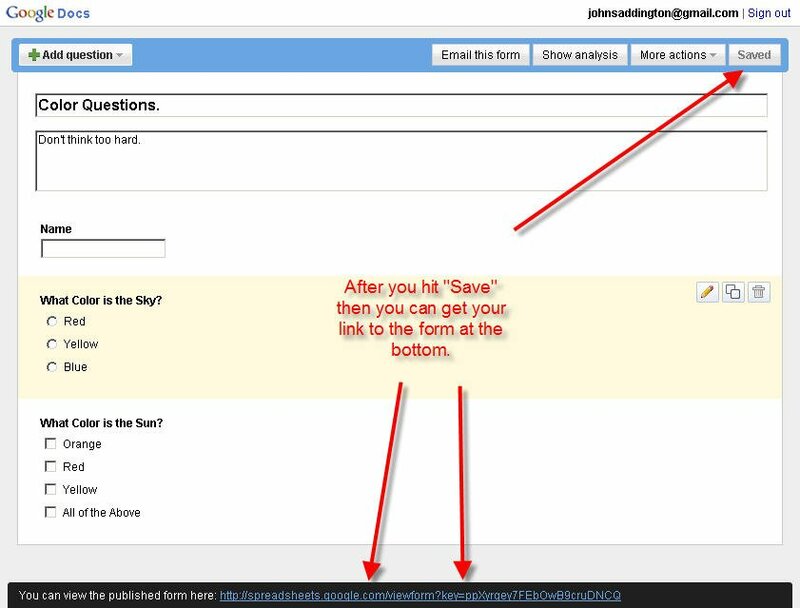 I had completely forgotten that Forms were in Google Docs now. This will save me some time and $$ this week. Google has a lot of nifty “tricks” but doesn’t always publicize them… shame on them! 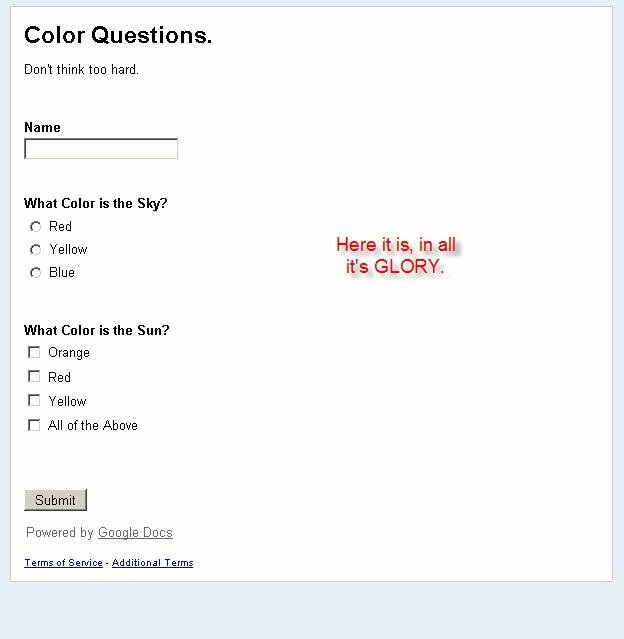 The best part of Google Forms is that it populates a spreadsheet with all the answers. Embedding the forms into a website is another huge plus. —Sorry for the brevity and rampant spelling errors… This was obviously “Sent from my iPhone”.